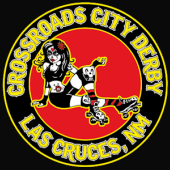 ​Congratulations to our home teams on their double header wins against El Paso Roller Derby! Game 1: Spitfire Sallies 403 over Beast Mode 60. Game 2: Reguladies 225 over Hooligans 53. Don't let the scores fool you; the competition was fierce! ​August 29th - HOMETOWN STRIKEDOWN! Final score was Spitfire Sallies 226 over Reguladies 169. Thanks to everyone who joined us for this exciting game; hope to see you for our last home game of the season in October! September 5th - All-Star Sucias @ NAZRD Whiskey Row-llers (Prescott AZ) Final score Sucias 317 - Whiskey Row-llers 40. 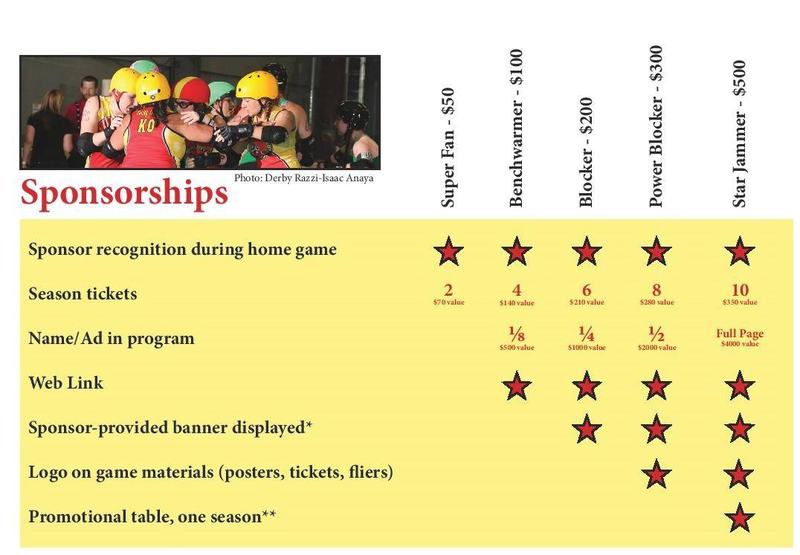 September 26th - RED VS. GREEN FAN APPRECIATION NIGHT! We had a terrific turnout for this free event and the big winners were St. Baldrick's Foundation and the Children's Cancer Fund of NM, for whom we raised nearly $300 in honor of Childhood Cancer Awareness month. Don't know much about childhood cancer? Click on the links above or follow Monroes' Tiny Warrior and learn stuff. ​October 17th -Final score: Sucias 165 over San Diego Roller Derby Starlettes 163! It was an amazing bout! The charity for the night, Be The Match, registered 20 potential bone marrow donors. October 24th - The last bout of the 2015 season was a mash-up with a Halloween theme: Chupacabras vs. Las Lloronas. Thanks to our amazing fans, LCPD's Law Enforcement Torch Run officers raised over $500 for Special Olympics of NM.